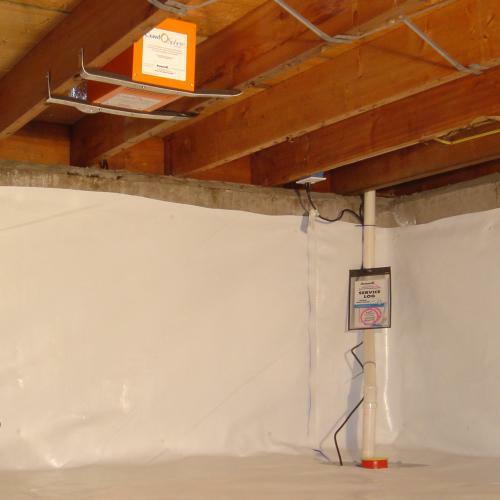 Installing a sump pump and waterproofing system is the least disruptive and most effective way to dry your crawl space - and keep it dry all the time! Ameri Care Services, Inc. professional crawl space waterproofers can install a sump pump system in an average crawl space in one, sometimes two days. For a FREE sump pump installation estimate in Tennessee, call or e-mail us today! Steps to installing a sump pump system in your home. Ameri Care Services, Inc. also provides crawl space sealing and encapsulation! We offer free, no-obligation inspections and written sump pump installation quotes to all homeowners in our Tennessee service area. Call or contact us online today to get started!